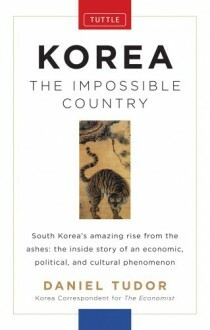 South Korea's amazing rise from the ashes: the inside story of an economic, political, and cultural phenomenonLong overshadowed by Japan and China, South Korea is a small country that happens to be one of the great national success stories of the postwar period. From a failed state with no democratic tradition, ruined and partitioned by war, and sapped by a half-century of colonial rule, South Korea transformed itself in just fifty years into an economic powerhouse and a democracy that serves as a model for other countries. With no natural resources and a tradition of authoritarian rule, Korea managed to accomplish a second Asian miracle.Daniel Tudor is a journalist who has lived in and written about Korea for almost a decade. In Korea: The Impossible Country, Tudor examines Korea's cultural foundations; the Korean character; the public sphere in politics, business, and the workplace as well as the family, dating, and marriage. In doing so, he touches on topics as diverse as shamanism, clan-ism, the dilemma posed by North Korea, the myths about doing business in Korea, the Koreans' renowned hard-partying ethos, and why the infatuation with learning English is now causing huge social problems.South Korea has undergone two miracles at once: economic development and complete democratization. The question now is, will it become as some see Japan, a rich yet aging society, devoid of energy and momentum? Or will the dynamism of Korean society and its willingness to change—as well as the opportunity it has now to welcome outsiders into its fold—enable it to experience a third miracle that will propel it into the ranks of the world's leading nations in terms of human culture, democracy, and wealth?More than just one journalist's account, Korea: The Impossible Country also draws on interviews with many of the people who made South Korea what it is today. These include:Choi Min-sik, the star of "Old Boy"Park Won-soon, Mayor of SeoulSoyeon Yi, Korea's first astronaut Hong Myung-bo, legendary captain of KoreaÆs 2002 FIFA World Cup teamShin Joong-hyun, the 'Godfather of Korean Rock'Ko Un, poetHong Seok-cheon, restaurateur, and the first Korean celebrity to 'come out'And many more, including a former advisor to President Park Chung-hee; a Shaman priestess ('mudang'); the boss of Korea's largest matchmaking agency; a 'room salon' hostess; an architect; as well as chefs, musicians, academics, entrepreneurs, homemakers, and chaebol conglomerate employees. http://boyswithtattoos.booklikes.com RonReads 4.0 Book review: Daniel Tudor's "Korea: The Impossible Country"
text Book review: Daniel Tudor's "Korea: The Impossible Country"